Master your indoor rowing technique with a rowing machine from First Degree Fitness. 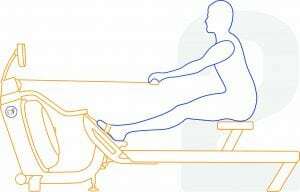 Many times the indoor rowing machine is ignored on the gym floor, giving a bad experience if you not have a correct basic knowledge of good indoor rowing technique. 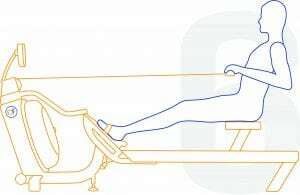 Learning the six stages of a strong indoor rowing stroke will support you get the most from each workout and make sure you are using your FDF water rowing machine in a correct way. Indoor rowing increases cardiovascular endurance and muscular strength by engaging all major muscle groups at the same time. 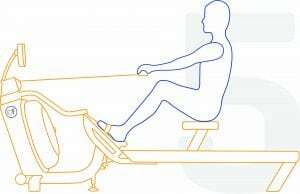 A HIT workout on an indoor rowing ergometer burns many calories and combust serious fat, it will be able to get you to your limits if you want no matter of your level of fitness. 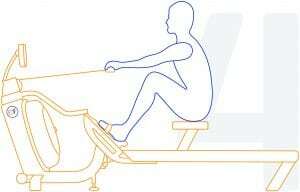 Be able to master a good indoor rowing technique involves you can achieve a smooth repetitive cyclic motion on a indoor rower. Three phases from catch to finish are generally combined together as “The Stroke”, as this is when the real work load is done, and the three phases from Finish to Catch are called “The Recovery”. 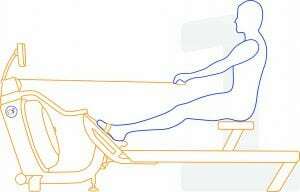 The main fact to good indoor rowing technique is to remember all six movements as one complete cycle, in which the work stroke flows seamlessly into the recovery phase. 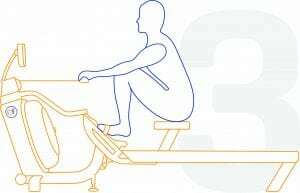 There are six phases to completing a rowing stroke. Sit with the legs straight, back straight but leaning slightly back from the hips, arms straight and hands level with the lower ribs. Now swing back. Legs still straight, back still straight, but now leaning slightly forward from the hips, arms still out in front. Now slide and lean forward. NOTE: your hands should now be forward of your knees while your legs are still straight. Knees partially straightened so seat is now at mid-point of travel, back and arms still just as in positions 2 and 3. Now maintain the stroke. Knees nearly straight, so seat is at 3/4 point of travel, back still straight but now leaning slightly back from hips. Arms still straight. Now squeeze through. Legs now fully extended and with back still straight as per position 5. Keep arms pulled in so hands are close to chest, forearms horizontal, and elbows close in to rib cage. This is THE FINISH.